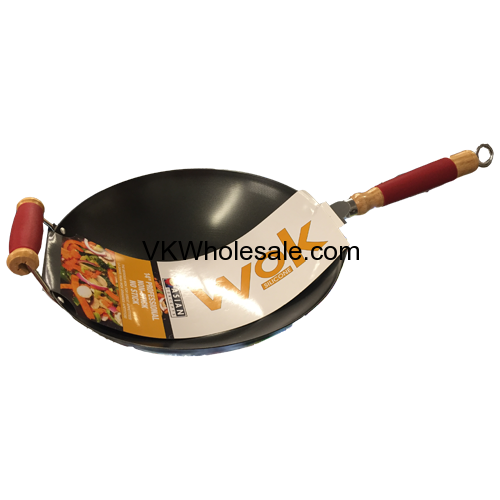 WOK Pan Wholesale - Carbon steel is a natural material which makes this WOK pan the ideal wok for authentic asian cooking. 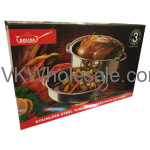 It is superior for fast and efficient heating and cooking. When seasoned, it allows for the use of less oil to create delicious and healthy dishes. 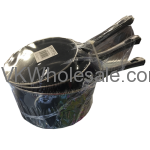 It can withstand the high temperatures necessary for stir-fry cooking, deep frying, steaming and tempura. 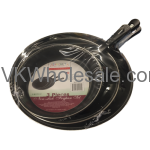 The more the pan is used the more durable it will become. 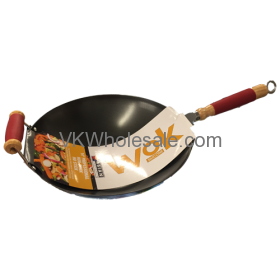 Non-stick wok can be used with the high heat needed for stir frying. 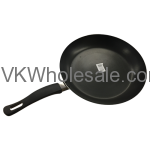 Never pre-heat your wok without first adding cooking oil as called for in the recipe you are using. 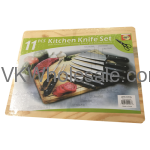 Bamboo, wood or plastic implements are recommended to stir-fry. 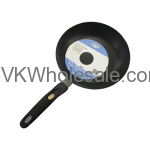 DO NOT scrub a scour on WOK surface as the non-stick surface should be release cooked on food easily. Allow stubborn food to soak briefly before washing. The wok is NOT dishwasher or over safe.